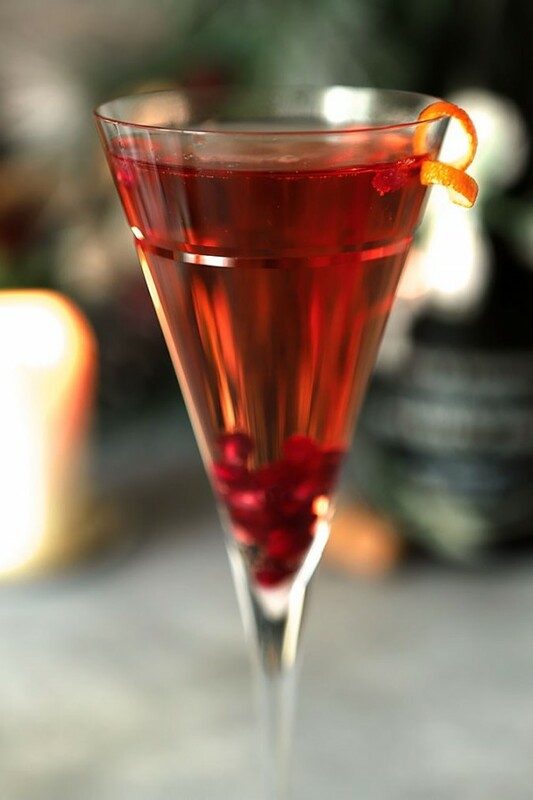 Make your champagne toast even more special with a Cranberry and Grand Marnier Champagne Cocktail which includes cranberry juice, orange liqueur and your favorite bubbly! Wasn’t it just Christmas, like yesterday? Just when we need to take a breath from all of the hustle and bustle of the Christmas holiday, New Year’s is fast upon us. Me especially…I’m still delivering plates of Christmas goodies to neighbors! That being said; it’s why I like simple cocktails for my New Year celebration; nothing too elaborate that requires a lot of planning or shopping, that’s for sure. This one is simple, beautiful and tasty. Cranberry juice and Grand Marnier are combined with a sparkling wine (or even sparkling cider for those passing on alcohol) and it fits the bill perfectly. Easy. Gorgeous. Good. You might notice some pomegranate arils? Well, I had pomegranate cranberry juice and some pom arils so this happened. I love those little things but for this cocktail both the juice and arils really are optional! If you’ve happened on this page from a pin on Pinterest and wonder if you’re in the right place…why yes you are. I’m lucky an old photo has been pinned so many times. I’m unlucky that somehow someone blew it up before pinning it and I grimace each time I see it. Not a particularly great photo in the first place (I can tell you now that if they’re 4-5 years old…they are on the ‘redo’ list!) but when you can almost see the individual pixels it’s even worse. Just a great reminder that it needed a trip to the spa; such a great cocktail should not look so shabby! When I first published this cocktail, I included a wish that I would be in my new home by New Year’s Day. Only by the skin of my teeth; moving in on New Year’s Eve day in 2013. How could that have been 4 years ago? Now I’m firmly ensconced and in keeping with a tradition I started, my neighbors and I will be celebrating NYE at 4pm in Colorado; that’s midnight in France! Parents, kids…all are welcome so let me know if you’re coming too and I’ll make one for you! Want some more ideas for celebratory cocktails? The Chic Site – Even More Cocktails! 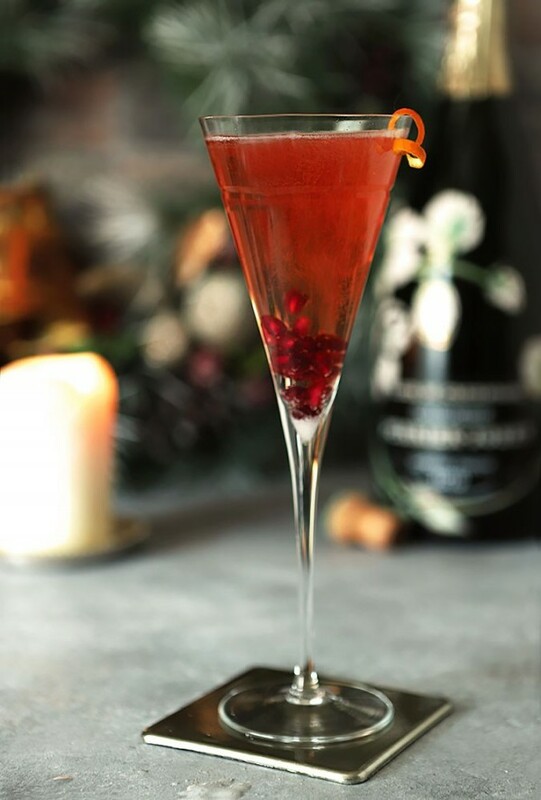 The post Cranberry and Grand Marnier Champagne Cocktail appeared first on Creative Culinary.